Working with clients to improve their health, reduce inflammation, detoxify, improve fertility and reduce weight. Studying a holistic approach to wellbeing. To get the real benefits of healthy living it’s no good to focus on just exercise, as so many people do. If you think a visit to the gym or class is the answer, or that the latest fad diet may be the missing link, then think again! We have identified the key factors to maximising optimal health and performance, whilst slowing down the ageing process and avoiding disease. Our products are designed with your hectic lifestyle in mind to provide you with a simple, user friendly and easy to follow road map to vibrant health. Alkalive is a unique, potent blend of supergreens. What are the key benefits and why should I take it? Alkalive is designed to boost your immune system, enhance your energy levels, aid weight loss and help to restore your body’s natural alkaline balance. You should take 1 scoop of Alkalive up to twice daily in 500ml of water. We believe Alkalive is the most effective and potent greens drink on the market, featuring a unique patented intestinal health formula. How long does it take before I start to feel the benefits? On average people feel noticeable benefits within 7-10 days. 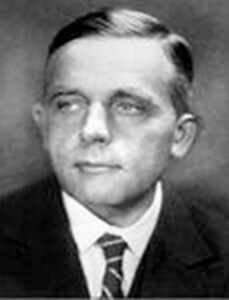 Dr. Otto Warburg, winner of the 1931 Nobel Prize for his studies in cell respiration, believed that a person’s level of health and vitality has a direct correlation to the levels of oxygen in his or her blood stream. Cancer thrives under low Ph conditions – Excess Stress, protein & refined carbohydrates create this environment!“A normal healthy cell undergoes an adverse change when it can no longer take in oxygen to convert glucose into energy. In the absence of oxygen, the cell reverts to a primal nutritional program to nourish itself by converting glucose through to the process of fermentation. The lactic acid produced by fermentation lowers cell pH and destroys the ability of DNA to control cell division and therefore the cancer cells begin to multiply. The lactic acid simultaneously causes severe local pain as it destroys cell enzymes.”In other words, a primary cause for diseases such as cancer is over acidity of the human body! Makes us fat – The body creates fat cells to protect organs from excess acids. Fat carries acid waste away to less critical areas and clings to organs. Poor Digestion – Yeast and fungus thrive in acidic environments causing havoc with the digestive system, resulting symptoms such as; bloating, constipation, diarrhoea, stomach cramps and food intolerances. Low energy, Tiredness & Fatigue – Over acidity causes our body to leach alkaline minerals from our bones, muscles and other tissues to ensure the blood maintains a delicate alkaline balance. The leaching of calcium from the bones is one of the main causes of osteoporosis. Heart Disease – Acidosis also corrodes and destroys vein, arteries and heart tissue, creating inflammation in the cardiovascular system. Depression – Acidosis decreases fatty acid mobilisation, which are essential for proper brain and nervous system function. High Blood Pressure – When cellular function decreases as a result of acidosis, the heart has to work harder to move the blood around the body. Most athletes will know that one of the main factors that will inhibit performance is a build up of lactic acid. When you reach your lactic threshold and muscles start to feel heavy and tired, this is the point when performance starts to drop and you have to try and fight the burning sensation in your muscles. When lactic in muscle accumulates it needs to be neutralised by a buffer in the blood to prevent pH balance being greatly altered. Neutral pH in the body is 7.35, when lactic acid is not neutralised then fatigue and tiredness will occur. The only way in which the pH and acidity can remain neutralised is by having a continuous supply of oxygenated blood. Oxygenated blood is required for the body to convert blood lactic into glycogen. Also post exercise oxygen aids in replenishing ATP stored as well as glycogen. 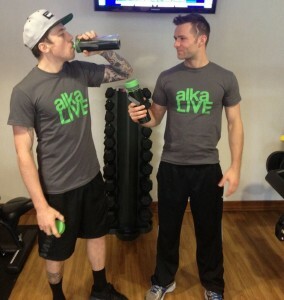 Danny and Harry from McFly fuelling up on Alkalive before a session in the gym! One scoop of our specially formulated Alkalive Supergreens helps cleanse your body and restore a healthy pH balance, increasing red blood cell count and the blood’s capacity to deliver oxygen and nutrients to cells. Enhance your immune system and daily vitality by giving your body the nutrients and fibre it needs for a healthier, more energetic lifestyle. Alkalive isn’t designed as workout drink it is a supplement to improve health. However, Alkalive also helps to improve performance and recovery so it can be taken pre, during or post exercise. The majority of people who currently take Alkalive just add it to their water, which they drink throughout the day to stay hydrated. Wheat Grass Powder – High in Chlorophyll, nature’s most health-promoting nutrient. Contains 20 amino acids. Provides several hundred different enzymes not found in other foods. Alfalfa Powder – Also helps to lower cholesterol, shift weight, and is a source of protein and folate. Chlorella – High vitamin and a complete protein source. As you can see our unique Alkalive Supergreens blend stands out from other health or ‘green’ drinks due to the fact we have included such high, potent amounts of these superfoods alongside a unique patented formula for intestinal health. Where can I buy Alkalive Supergreens? 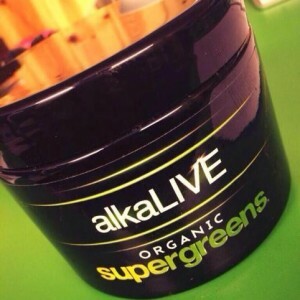 Alkalive Supergreens are available to buy from Zumba Swansea for £31 for a 150g tub. For more details please complete the contact form on the homepage.